The OIG has wrapped up a successful year, recovering an expected $4.9 billion dollars for US taxpayers. Over 4,000 individuals or entities were newly excluded in 2014. The OIG collected a total of $9,052,406.21 in exclusion-related fines over the course of the year. The average fine for this year was $164,589.20. California logged the most fines this year at $2,978,821. Texas came in second at $1,098,351. 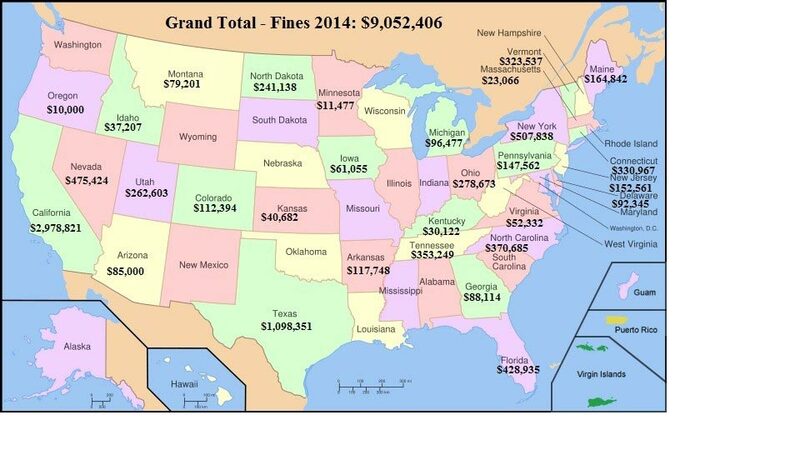 20 states finished the year without any fines at all. In addition to fines meted out to medical providers and facilities, fines were also levied on counties. Partnership with excluded ambulance companies accounted for some of this year’s fines.